Joe Durney - STEER FOR STUDENT ATHLETES INC.
"I became involved with STEER due to my first-hand experience with at-risk students who I have seen benefit from the guidance of caring adults, knowing that we really can make a difference in the lives of students who are in need of careful direction and support." 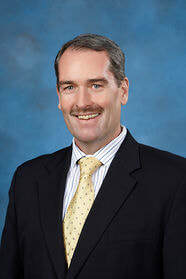 Joe Durney is Deputy Superintendent of Schools for the Port Chester-Rye Union Free School District in New York. Joe holds a Bachelor of Science in Health, Physical Education and Recreation, a Master of Science in Education, a post-Masters Professional Diploma in School District Administration, and a Certificate of Advanced Education Leadership from the Harvard Graduate School of Education. Joe is a New York Education Department certified teacher, coach, school supervisor, school building supervisor and school district administrator. Joe has over thirty years of experience in the field of education and sports teaching, coaching and serving as an educational leader and administrator for children and young adults at the elementary, intermediate, high school and collegiate levels. Joe served as Conference President in Section One Interscholastic High School Athletics, and as a member of the Section One High School Athletics Executive Committee; and as a member of the Section One Executive Committee for the NYS Athletic Administrators Association; and as a member of the Executive Committee for NYSAPHERD Council of Administrators. Joe was the 2009 Recipient of the NYSAPHERD Council of Administrator’s State Service Award, the 2011 ODFMC Community Health Service Award, and is Past Co-Chair of the Port Chester Cares Community Coalition. Joe is a member of the Lower Hudson Council of Human Resource Administrators. In addition, Joe served on the Executive Committee of the SWBOCES Section One Professional Development Committee and is a New York State Education Department approved instructor for State Education certification coaching courses in Principles, Philosophy and Organization of Athletics in Education, Health Sciences Related to Coaching, and Theories and Techniques of Coaching. He has taught NYS Education Department graduate courses for high school teachers and coaches under the auspices of the Sound Shore Superintendent’s Consortium (8 Regional High Schools). Joe has served as an Adjunct Professor at Manhattanville College in the Graduate Department of Physical Education and Sport Pedagogy specializing in Ethics of Sport in Educational Administration. Joe has four children ranging in age from seventeen to twenty-eight and lives with his wife Mary in Port Chester NY.